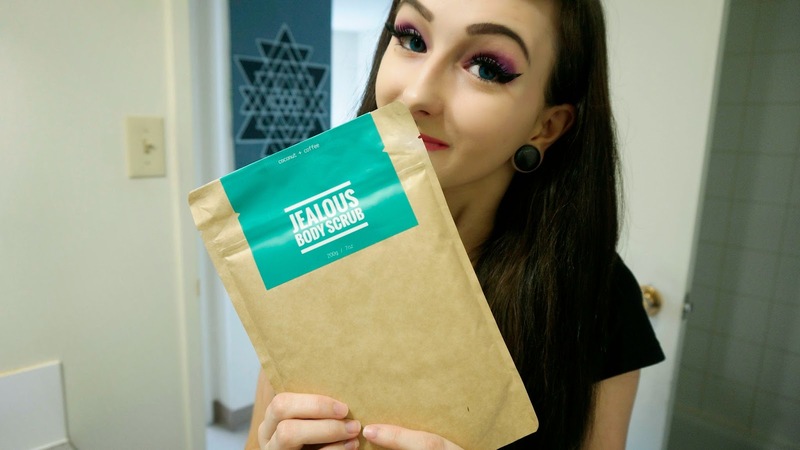 I was contacted by a company called Jealous Body Scrub, they are out of Vancouver, BC, and was asked if I wanted to try out their product, I of course said yes as I had never tried anything like it before! The scrub retails for $17.95 and shipping to Canada and USA are free, anywhere else is only $3.95! That's an amazing deal right there. This is the adorably simple packaging and info card that came in the package. I adore the simplicity and feel it really reflects the feeling that this scrub gives you! 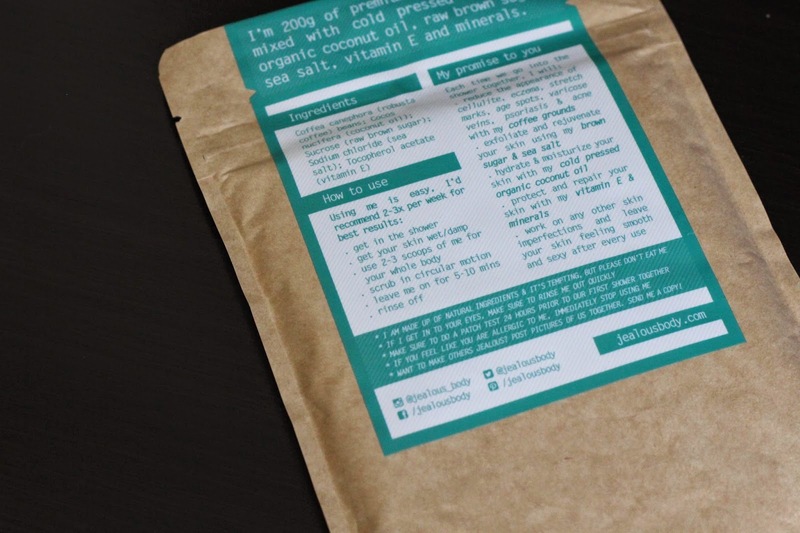 The package is also a ziplock so that the product stays inside the package after you've used it, fresh and ready for the next time you need it. On the back is some information including the all natural ingredients list, what the product can do for you, and how to use it! This product is actually pretty amazing, it gets rid of rough skin, cellulite, eczema, stretch marks, age spots, varicose veins, psoriasis, and acne, all with its natural ingredients! But lets talk about the smell! It's absolutely amazing. I was sniffing my arm even after I had washed it off and it still smelled amazing. It smells like delicious coffee and coconut, filling your bathroom with an invigorating smell! The card tells you in less detail what the back of the package did with a bit of humor! 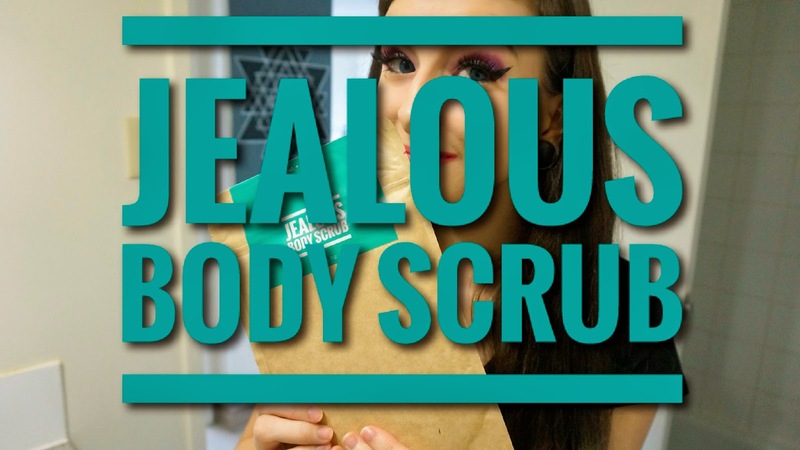 Jealous Body Scrub is a little dirty ;)! They recommend to do it in the shower, and I filmed a little review and just did a bit on my arm but I do recommend the shower as well, especially for full body application since it's pretty messy. I did do a full body scrub the day after I filmed the Youtube video and I can honestly say that I am 100% impressed and my skin has never felt better. I used it on my face as well and it drastically improved my makeup application because it left my skin feeling absolutely amazing and smooth. I have dry skin because of where I live and it felt amazing after. I cannot get enough of it and will definitely be purchasing it again! The product is literally finely ground coffee beans and white flecks which I would assume to be the cold pressed coconut oil. I would get a photo but it's quite messy haha! I did however film a Youtube video so you can see what it looks like there! 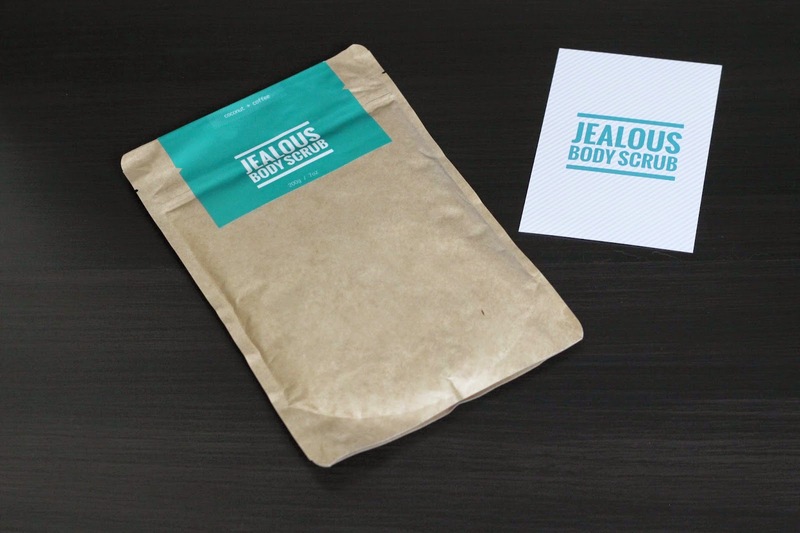 You can find Jealous Body Scrub at http://jealousbody.com/!